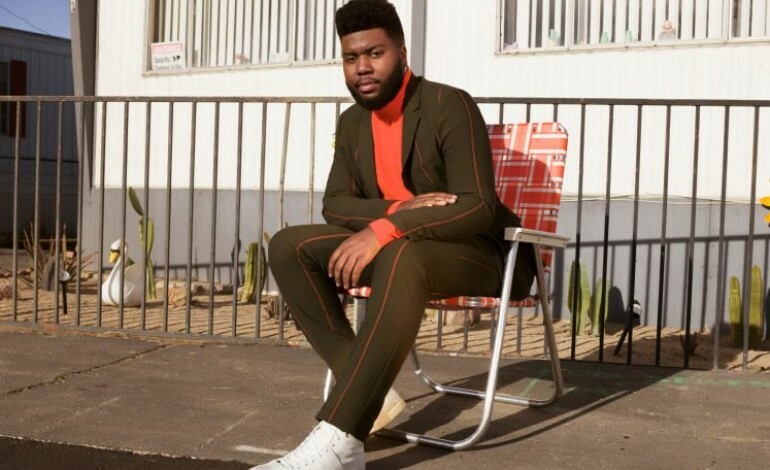 American singer/song-writer, Khalid has revealed that he will be hitting the road throughout September and October 2019, heading to venues across the UK and Europe. The singer has announced a string of UK dates for September 2019, the four-date UK tour will see the singer heading to London, Glasgow, Birmingham, and Leeds. Tickets go on sale on Friday the 12th of April, at 10am, and can be purchased here. The ‘Location’ hitmaker will kick start his sting of four UK shows, in London, on the 17th of September 2019, before heading to Glasgow and Birmingham, concluding in Leeds, on the 22nd of September 2019. After concluding in Leeds, Khalid will continue on to Ireland where he will perform in Dublin, on the 24th of September 2019, and Belfast, on the 25th of September 2019. The European leg of his tour kick starts earlier in September, in Hamburg, on the 9th of September 2019, before visiting Stockholm, Oslo, Copenhagen, at which the UK leg of his tour begins, in London, on the 17th of September. After Completing his UK leg of the tour, the singer will continue on to Frankfurt, Amsterdam, Oberhausen, Paris, Luxembourg, Zurich, finally concluding in Munich, on the 9th of October 2019. The release of ‘Free Spirit’ comes three years after Khalid’s 2017’s debut album, ‘American Teen’, which was certified platinum and earned a Grammy nomination for Best Urban Contemporary Album. Khalid began writing his debut album, ‘American Teen’, when he was 17, at the tip of graduating high school, in Texas. Despite his young age, it was Khalid’s powerful vocal ability and impressive song-writing prowess, along with multiple chart topping hits like ‘Location’, and ‘Young Dumb & Broke’, that helped him shoot his way to the top. “I was so naive and young when I wrote ‘American Teen’. I thought I knew everything, but I knew nothing at all,” Khalid tells Billboard. The now 21-year-old Khalid, has returned with an even more in-depth understanding of friendship and love on his sophomore album ‘Free Spirit’. “I’m at the point of understanding that I still know nothing at all on ‘Free Spirit’. I feel like the music right now that I’m writing is very self-reflective,” says Khalid, speaking about his progression from ‘American Teen’ to ‘Free Spirit’. Although, he’s only 21-years-old Khalid has already accomplished so much, with two albums under his belt and multiple chart topping hits, including recently released single ‘Eastside’, which sees him collaborate with Benny Blanco, which made it to number 1 in the UK charts. Among his accomplishments are collaborations with some of the biggest names in music, including Shawn Mendes, Calvin Harris, and Benny Blanco.